Nestled in the heart of the Mallorcan landscape, among trees fragrant with olives and almonds, is the Son Antem Golf Club. Only 20 minutes from Palma and its airport, Son Antem is a world away from anything you’ve experienced on a golf course before. 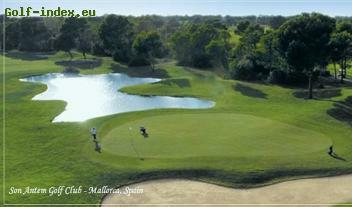 Its two 18-hole golf courses are beautifully designed, but offer challenges to experts and beginners alike.